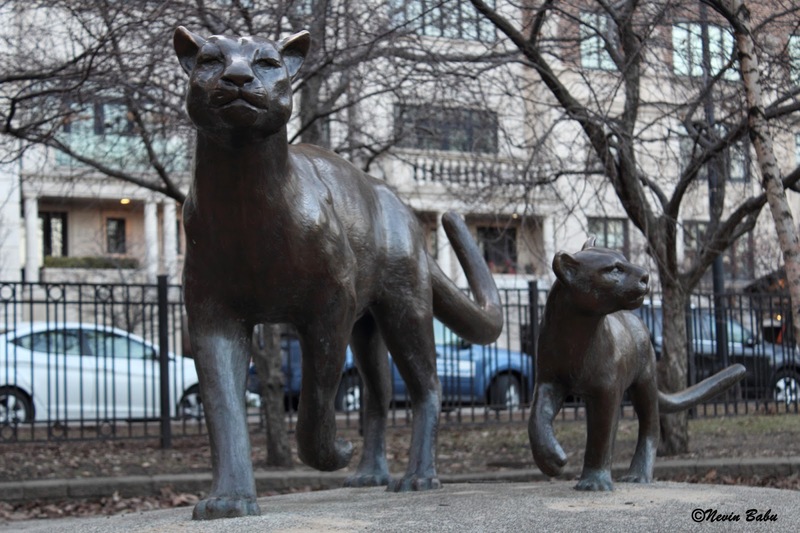 The Mother and Child Mountain Lion sculpture is located in Cummings Playground in Lincoln Park, Chicago and is sculpted by Boban Ilic, a Yugoslavian artist. Very cool. Best way to see a Mountain Lion up close and personal...in statue form!